These are one of my current favorite cereal treats. I have made them several times in the last few months. They have the perfect texture and flavor. 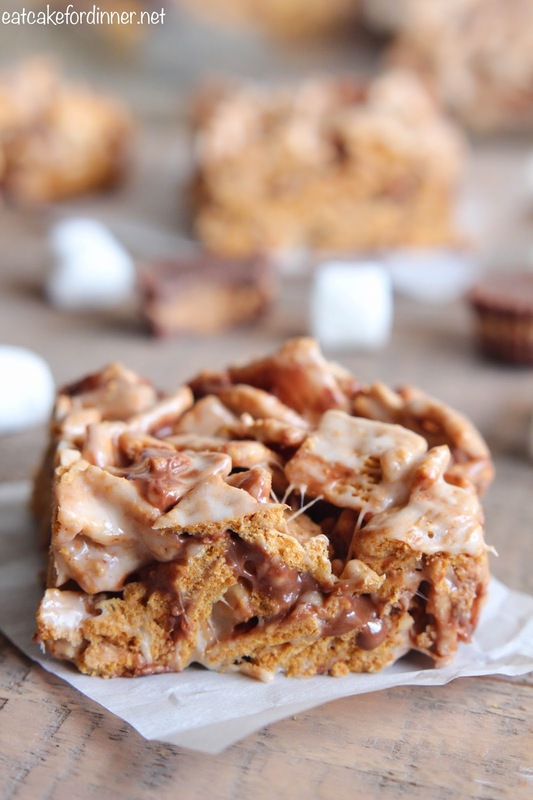 Most people have probably had regular s'mores bars with Golden Grahams, marshmallows and chocolate chips, but they will be so surprised when they bite into these and taste peanut butter. 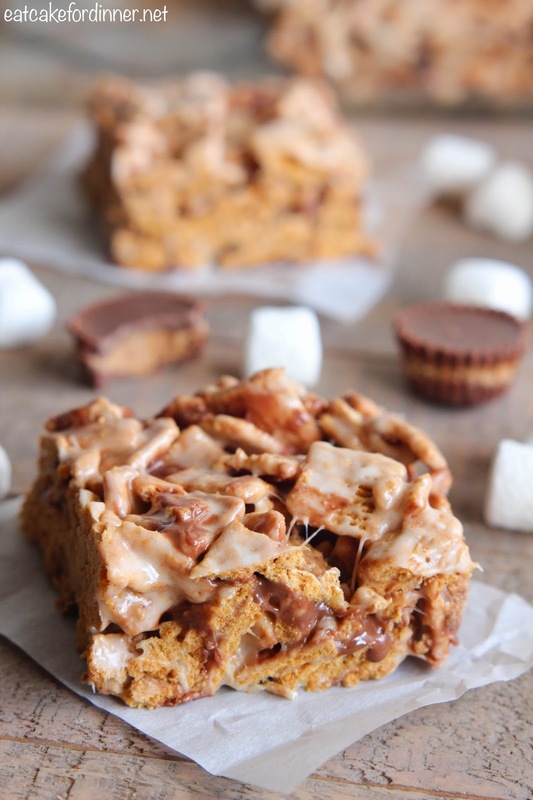 The peanut butter cups are the perfect touch to take these cereal treats to another level. You won't be able to resist them. Spray a 9x13-inch pan with cooking spray and set aside. Chop the peanut butter cups into 6th's and place in the freezer until ready to use. In a large saucepan over medium heat, melt the butter. Add the marshmallows and vanilla and stir to coat in butter. Heat until marshmallows are melted, stirring occasionally. Remove from heat and stir in the cereal. 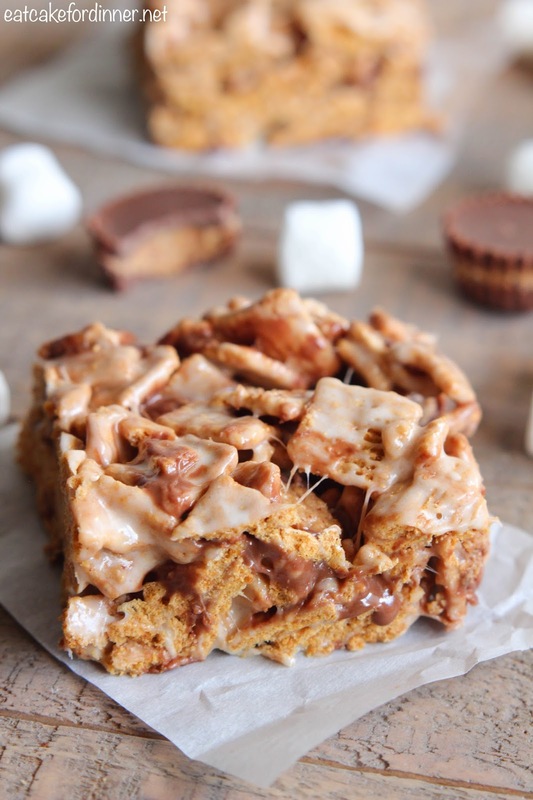 Then, stir in the chopped peanut butter cups until everything is evenly distributed and coated in marshmallows. Pour into prepared pan and press out evenly. Allow to set, cut into squares and serve.